Is that enough space? We guess we’ll find out. So, with series mainstay Andrew Lincoln having now left The Walking Dead – an episode that aired last night in the US, and that will be seen tonight in the UK – it turns out that Rick Grimes hasn’t been given the bloody, brutal send-off that many envisioned. Instead of becoming walker chow, we instead saw Rick just about left alive. With a herd of shuffling undead heading for Alexandria, the ever-grizzled Grimes blew up a bridge in order to protect the community from these walkers. Not only did that isolate Rick from his crew of survivors, but he almost killed himself in the process. By the time the episode came to a close, Rick was found by Jadis and rescued by the ominous helicopter that has been patrolling the skies over the past few weeks. 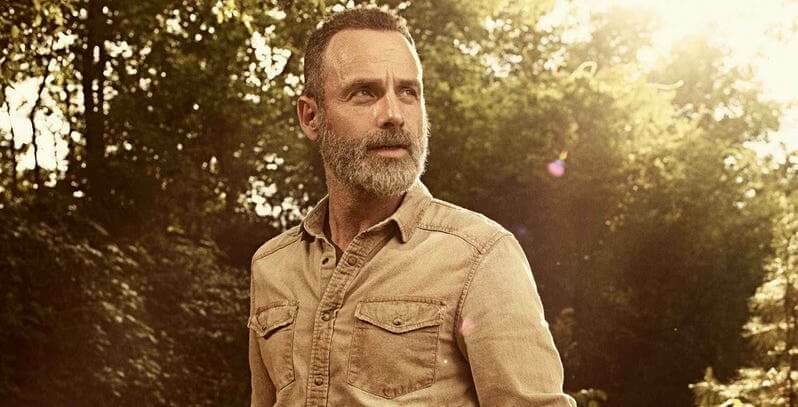 Make no mistake, mind, Rick Grimes is completely done (for now…) with The Walking Dead in terms of the straight-up TV show, but we’ve now heard how Rick will instead be the main focus of a trilogy of TV movies from AMC. Well, this is all a major shake-up for The Walking Dead, then. In fact, could a move like this be just the shake-up that so many longtime fans of the show have been clamouring for? We guess we’ll have to wait and see. Expect more on these Walking Dead movies as we get it.